A list of the greatest female athletes. 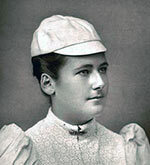 Lottie Dod (1871 – 1960) (England, tennis, archery, golf) Five times Wimbledon singles champion. Silver medal archery at 1908 Olympic games. Won British Ladies amateur golf title and played field hockey for England. Babe Didrikson Zaharias (1911-1956) (US, athletics, golf) Ground-breaking female athlete who achieved success in basketball, track and field and golf. Fanny Blankers-Koen (1918-2004) (Netherlands, athletics) In 1948 Olympics won four gold medals at 100m, 200m, 80m hurdles and 4*100m relay. 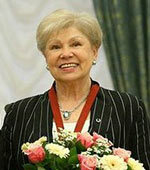 Larisa Latynina (1934 – ) (Soviet Union, gymnastics) Between 1956 and 1964 she won 14 individual gymnastic gold medals and 4 team medals a record for a female at the Olympics. Billie Jean King (1943 – ) US, tennis. 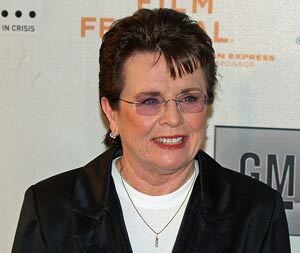 Billie Jean King won a total of 38 Grand Slam titles. – 12 single titles. An early advocate of equality for women, she won the famous battle of the sexes against Bobby Riggs in 1973. 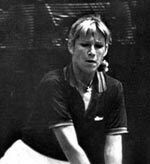 Martina Navratilova (1956 – ) (Cz/US, tennis) 18 grand slam titles 31 major doubles titles. 177 titles in total. Navratilova is the most successful tennis player of the open era. 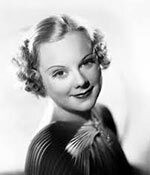 Sonja Henie (1912 – 1969) (Norway, figure skating) Henie was a triple Olympic Champion ’28, ’32 and ’36. She was also a ten times World Champion and highest paid Hollywood actress. 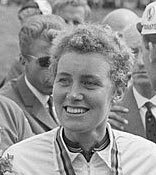 Beryl Burton (1937 – 1996) Five world track championships and twice road champion. Would have won more international honours if more competitions. On the domestic front, Burton dominated the best all rounder competition for 25 consecutive years, at one point set a 12-hour record (277 miles), which was, at the time, higher than the men’s record. 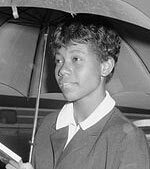 Wilma Rudolph ( 1940 – 1994) (US, track and field) Rudolph won three Olympic gold at the 1960 Olympics at the 100m, 200m and 4*100m relay. 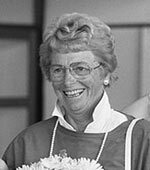 She helped to elevate women’s track to a major presence in the United States. 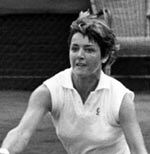 Margaret Smith Court (1942 – ) Australian tennis player. Won 24 Grand slam titles. Won all four Grand slams in 1970. Grete Waitz (1953 – 2011 ) (Norway, athletics) First women to run the marathon under two and half hours. Won nine NY marathons and five gold medals at the World Cross Country championships. Chris Evert (1954 – ) (US, tennis) 18 grand slam single titles. 3 double titles. She had a win % in singles matches of 89.9% – the highest in the open era. Jackie Joyner-Kersee (1962 – ) US, athletics. One of the most successful female track and field athletes. Won Olympic gold in Heptahlon and Long Jump. 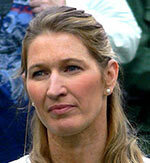 Steffi Graf (1969 – ) (Germany, tennis) Graf won 22 Grand Slam singles titles – the highest number in the Open era. Was world number one for a record 377 weeks. Annika Sörenstam (1970 – ) (Sweden, golf) Most successful female golfer. 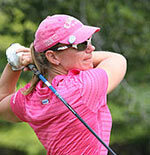 Sorenstam has won 72 official LPGA titles. Mia Hamm (1972 – ) (US, football) Played 275 games for US women’s soccer team, winning two world cups and two Olympic games. 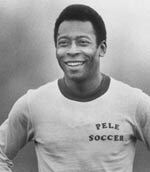 Scored 153 international goals and played role in raising the profile of women’s football. 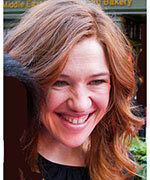 Clara Hughes (1972 – ) (Canada, cycling, speed skating) Won two Olympic medals at 1996 summer games (cycling) and then switched disciplines and won Olympic gold at 5,000m speed skating (2006 Winter Olympics). Tegla Laroupe (1973 – ) (Kenya, athletics) Held world record for the marathon and won five world championships at the half-marathon. Paula Radcliffe (1973 – ) (Great Britain, athletics) Current holder of women’s marathon record time. 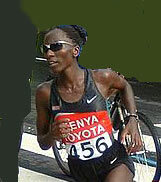 Gold in marathon world championship 2005. 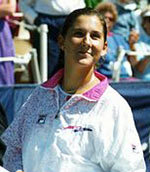 Monica Seles (1973 – ) (Yugoslavia / US, tennis) Seles became the youngest winner of the French Open in 1990, aged 16. Won 9 Grand Slam singles titles. 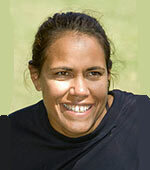 Cathy Freeman (1973 – ) (Australia, 400m) Freeman was the first Aboriginal athlete to win Commonwealth Games. She won Olympic gold in 2000 when Sydney hosted the games. 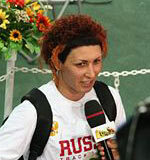 Tatyana Lebedeva (1976 – ) (Russia, long jump triple jump) Lebedeva has won World Championship gold at both the long jump and triple jump. She won Olympic gold in 2004 and 3 silver Olympic medals. Venus Williams (1980 – ) (US, tennis) Former no. 1 tennis player. 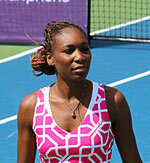 Williams has won 7 Grand Slam singles titles, plus thirteen double titles. With her sister, Serena helped usher in a new level of athleticism in women’s tennis. Hope Solo (1981 – ) (US, football) First choice goalkeeper for the US soccer team since 2000. With the US team she won Olympic gold in 2008 and 2012, and runner-up in 2011 World Cup. Serena Williams (1981 – ) (US, tennis) 19 single grand slam titles, 15 doubles titles. Also has won four Olympic gold medals. Katie Taylor (1986 – ) (Ireland, boxing) Olympic gold medallist at 2012 London Olympics. She has a strong following in Ireland, helping to raise the profile of women’s boxing. Maria Sharapova (1987 – ) (Russia, tennis) Has won all four major Grand Slam tournaments and Olympic silver in 2012. Has a high profile outside the game with her own business and modelling ventures. 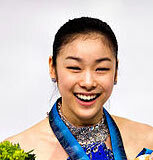 Kim Yuna (1990 – ) (South Korea, figure skating) Olympic gold at the 2010 Winter Games. She holds the world record for the highest combined total score. 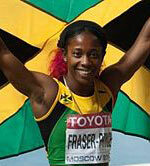 Shelley Ann Fraser Pryce (1986 – ) (Jamaica, sprinter) Won Olympic gold in 2008 and 2012 at 100m. Also 5 times world champion. 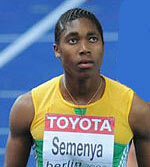 Casta Semenya (1991 – ) (South Africa, 800m) Won gold at the 2009 World Championships and silver at Olympic 2012. Subject to gender testing after the 2009 Championships. 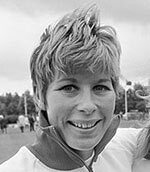 Mary Rand (1940 – ) (GB, track and field) Won Olympic gold at the long jump in 1964 and the silver in the pentathlon. 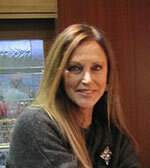 Peggy Fleming (1948 – ) (US, figure skating) The 1968 Olympic figure skating champion and three times world champion. Has worked as commentator and breast cancer awareness since retirement. 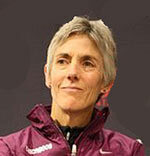 Joan Benoit (1957 – ) (US, marathon) Benoit won the first Olympic women’s marathon in 1984. 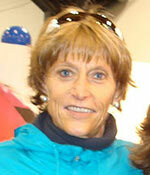 She set a time of 2:22:43 at the Boston marathon in 1983 and held the world record until 1985. Nelli Kim (1957 – ) (Soviet Union, gymnastics) Kim is one of the best all round gymnasts. Won five Olympic golds in 1976 and 1980. Also five times world champion. 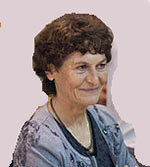 Jeannie Longo (1958 – ) (France, cycling) Nine times World Road race champion – over the period 1985 to 2001. Gold in 1996 Olympics. Longo was one of the greatest female cyclists of all time, and noted for the long duration of her cycling career. 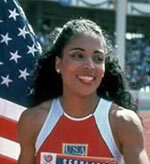 Florence Griffith Joyner ‘Flo Jo’ (1959-1998) (US, sprinting) Joyner won triple Olympic gold at the 1988 Olympics, in the 100m, 200m and 100m relay. In 1988, also set WR of 10.49 for 100m – a time which stands today. 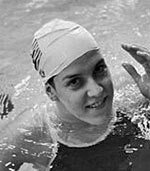 Tracy Caulkins (1963 – ) (US, swimming) Set five world records and won three Olympic golds at the 1984 games. Also won five golds at the ’78 World Championships. 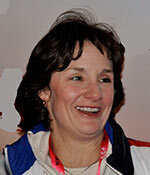 Bonny Blair (1964 – ) (US, speed skating) Blair won five Olympic golds over three different Winter Olympics. Voted Sports Illustrated Sportsman of the year in 1994. 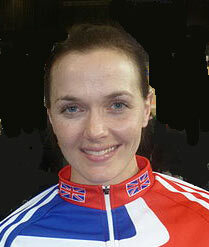 Victoria Pendleton (1980 – ) (GB, track cyclist) Pendleton won Olympic gold in 2008 and 2012. Also nine times world champion. Specialised in sprint disciplines, showing muscularity not essential. 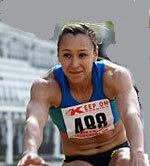 Jessica Ennis (1986 – ) (GB, heptathlon) Ennis won the 2012 Olympic heptathlon title – at her home games in London. Ennis was also a major figure in promoting the games. Sania Mirza (1986 – ) (India, tennis) Mirza is India’s highest ranking female tennis player (reaching #27 in singles rankings and #5 in doubles ranking. She won two gold in mixed doubles at the Asian games and has a high profile in her home country. 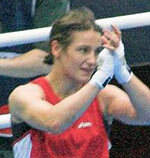 Katie Taylor (1986 – ) (Ireland, boxing) Taylor is the Olympic gold medallist at lightweight division (2012). She has also represented Ireland at football. A huge following in Ireland, she was voted best sportsperson of 2012. 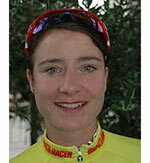 Marianne Vos (1987 – ) (Netherlands, cycling) One of most successful female cyclists. Vos has achieved world titles at cyclo-cross, road race and Olympic gold on the track. She is also dominant in major women’s’ road races and took the inaugural 2014 ‘La Course’ by le Tour de France. 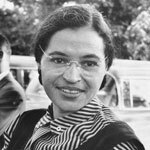 Women who changed the world – Over 70 women who changed the world in the field of politics, music, literature, science and humanitarian work.